Lingual tonsils are an irregular mass of lymphoid tissue in the far back of the tongue present posterior to the circumvallate papillae. Circumvallate papillae are located along the sulcus terminalis (V-shaped line) towards the back of the tongue. Those papillae can sometimes be confused with the lingual tonsils, but note that the lingual tonsils are generally larger than the circumvallate papilla. Foliate papillae are located on the lateral border of the tongue. Filiform papillae are spread throughout the anterior two-thirds of the tongue and are the most numerous papillae of the tongue. 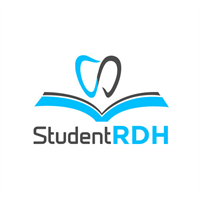 When we study about Head and Neck Anatomy for the Dental Hygiene Board Exams, it is actually pretty easy to mix up all the different tonsils and papillae of the tongue. But as you know, it is important to know them all by heart because we deal with the oral cavity all day long! So take the time to remember: 1) Where the tonsils are located, and 2) What they do. If I may add one more piece of information, lingual tonsils are often misunderstood with lingual thyroid. In short, lingual tonsils are there (naturally) while lingual thyroid occurred because the thyroid tissues ended up being “stuck” on the tongue rather than moving down as they should have when you were growing up. I hope this helped as a Mini-Review for this chapter on Head and Neck Anatomy for the Dental Hygiene Board Exams (NBDHE, NDHCE). Every day is a challenge, let’s make sure we spend a little time daily to prepare for the big day (the day you will take the NBDHE or NDHCE). I am here if you need any assistance. Feel free to email me at ClaireJ@StudentRDH.com.